Local 82 Justice for Janitors days of rage demonstrations, 1995. 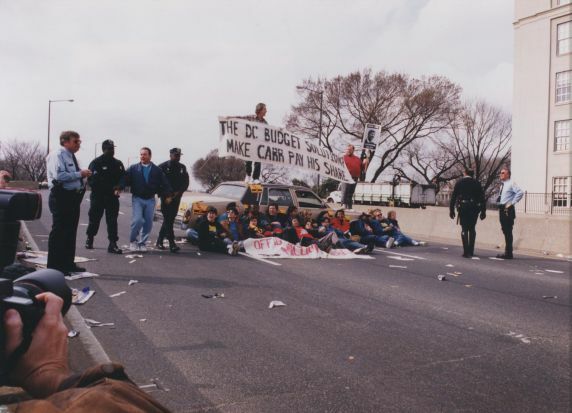 Protestors performing civil disobedience during the SEIU Local 82 J4J Days of Rage demonstrations in Washington DC. Protestors hold signs targeting Washington DC-area real estate developer Oliver T. Carr.